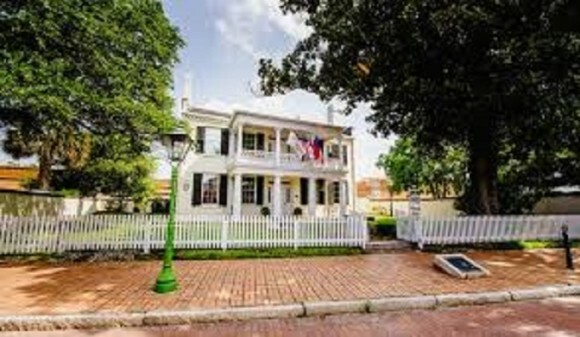 What was once the site of Mobile’s first jail, now stands the “gateway to Mobile’s history.” This Federal-style home, built by Jonathon and Elizabeth Kirkbride in 1850, reflects Mobile’s history under five flags. It has two confederate parlors, American Federal dining room, British Commandant’s room, French sitting room and bedroom, two American bedrooms, and a Spanish wall garden of the late 18th century design. The museum is now owned, preserved and operated by the National Society of Colonial Dames.